How does Panasonic IP PBX Helps Your Business? Panasonic KX-NS300 can utilize the benefits of a hybrid system to help businesses lower costs and allow a quick return on investment. The KX-NS300 has advanced features and starts from 6 analogue trunks and 18 extensions, up to 192 extensions with an Expansion Unit. 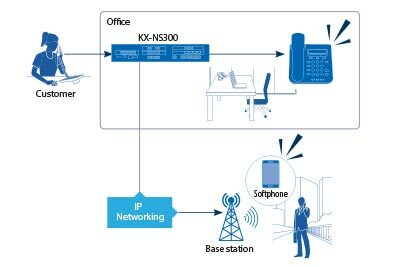 KX-NS300 is also a unifi ed communication system which has rich IP features such as mobile linking, integrated voice mail and e-mail, instant messaging (chat), and presence information. 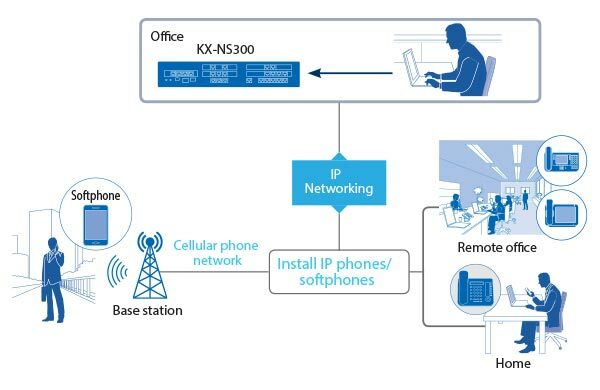 By connecting the KX-NS300 units in different offices with an IP network, you can construct a network that integrates both voice and data. This enables extension calls between offi ces over the IP network, and reduces costs. 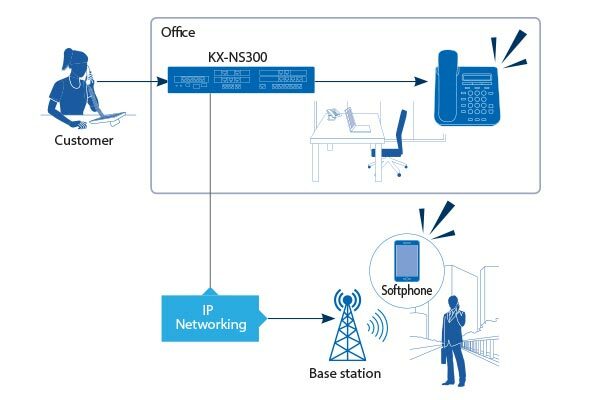 The KX-NS300 can utilize an IP network to use IP phones as head office extensions, without installing extra KX-NS300 units or special routers at remote sites. In other words, migration to an IP network enables installation costs to be saved. Existing analogue PTs and digital PTs from Panasonic can continue to be used, enabling a system to be replaced at a low cost without wasting resources. Improving customer satisfaction is the key to succeeding in business. The KX-NS300 provides services for smoothly responding and following up on customer queries. It is always important to understand the changes in customer needs and improve the support provided by staff. Continually performing these measures leads to improved customer service. 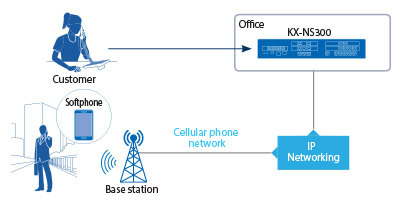 As a standard feature, the KX-NS300 can connect customers to the appropriate section or operator according to their query in call routing with voice guidance. 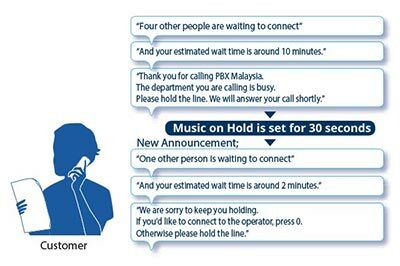 It can also prompt the customers to leave a voice message when the operator is away. 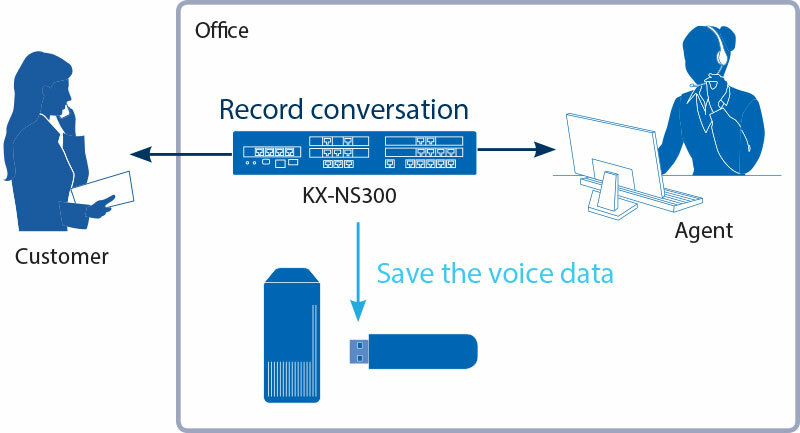 The KX-NS300 can be expanded to a voice mail system that can record a maximum of 24 channels and 400 hours. KX-NS300 also sends e-mail to notify you when you have new voice messages. The messages can also be received as attachment fi les and forwarded. 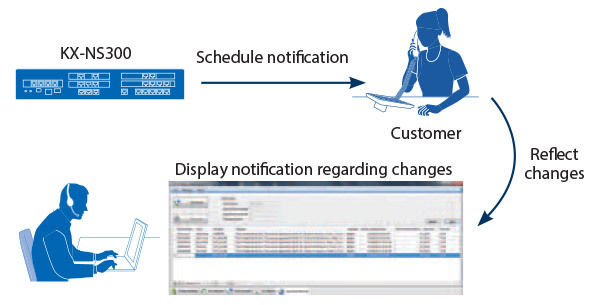 E-mail notifi cation can also be sent for missed calls where the customer did not leave a message, enabling you to quickly contact the customer. The Voice Mail System function can be used to automatically record conversations with customers. 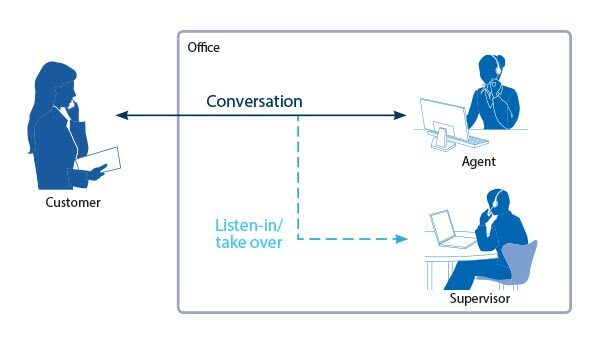 The recorded voice data can be automatically saved to USB memory or an external server via the internet, and listened when required. The data can be used to understand problems or opportunities relating to customer service. The KX-NS300 includes an advanced call routing function for small to medium size call centres. This function can be used without an external CTI server. More efficient call reception enables you to effectively utilize limited resources to assist in improving customer service. The caller can recognise their position in the queue through voice guidance. They can then decide whether to stay in the queue or leave a message and hang up, according to the situation. 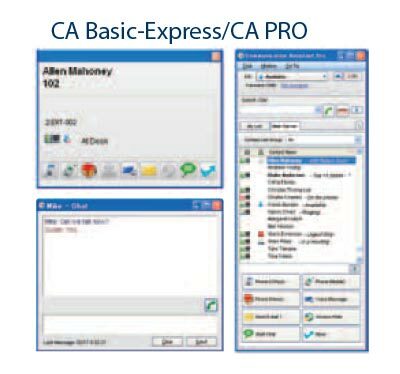 The built-in Call Centre Solution function can be expanded to suit more sophisticated call centres by installing CA Operator Console, CA Supervisor, and CA Module, etc applications. 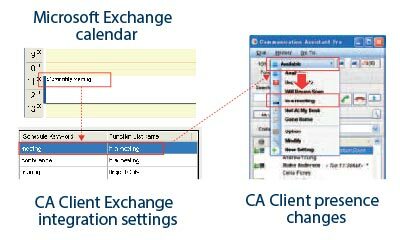 For example, installing CA Supervisor enables a supervisor to listen in on agent conversations and take over calls. This enables a supervisor to take over a call to handle a customer when agents cannot do so. Recent business requires customers and staff members to be contacted anywhere and anytime. 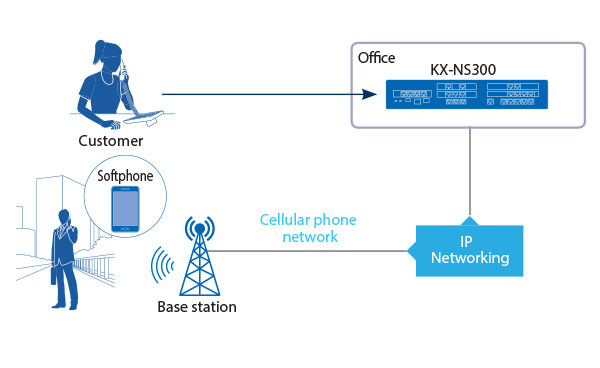 As long as the KX-NS300 is in an environment that can connect to the internet, it can enable IP phones to be used as extensions for easily contacting people. 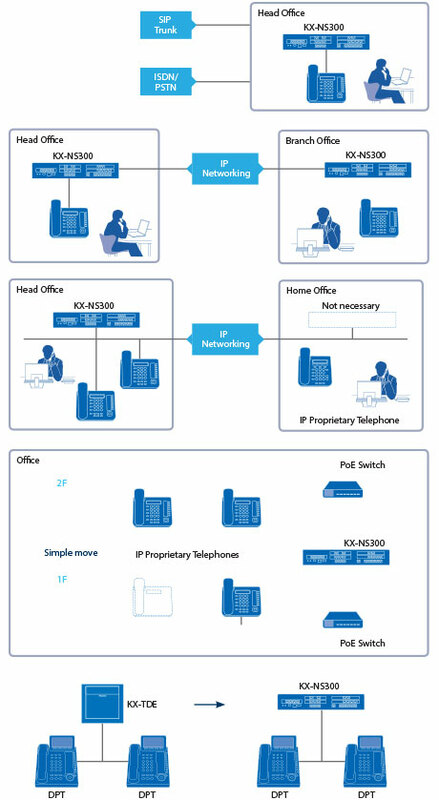 *KX-NT500 series, KX-UT series, and third party SIP phones are supported. 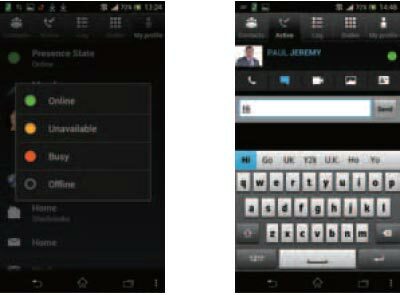 You can easily make calls by simply searching from a customisable contact list. 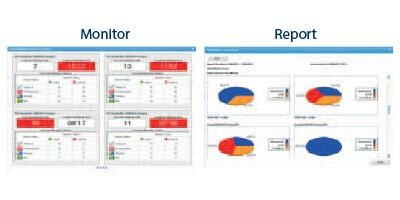 You can also see the phone status and PC status of employees in remote rooms or branches from the PC on your desk. You can use text to speech to confi rm appointments with customers. The customer can then follow the voice guidance to check and change schedules, and you can view the result on a PC. Even when you are away from the offi ce, you can use a softphone to check the presence of the other party and select an appropriate method of communication, such as text message, video, or voice chat.